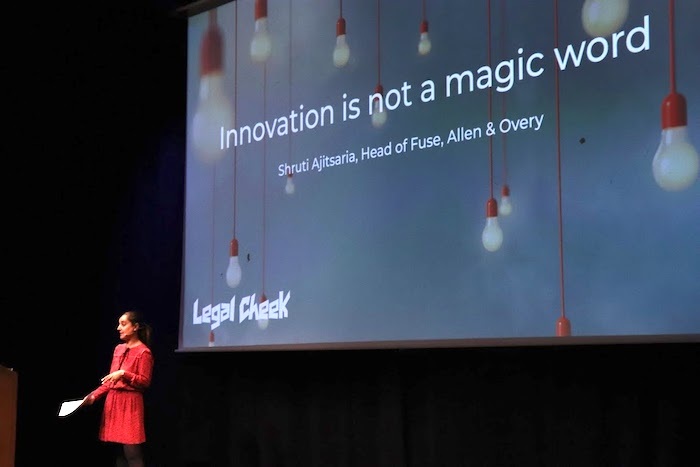 This morning super early bird tickets have gone on sale for Legal Cheek’s Future of Legal Education and Training Conference 2019. The day-long event takes place at Kings Place London, the exclusive canal-side venue in King’s Cross, on Wednesday 22 May next year. It will be double the size of the sold-out 2018 Conference, and hosted across Kings Place’s 400-person capacity Hall One, Gallery mezzanine space and St Pancras Room. New for 2019 are additional sessions on mental health and diversity. 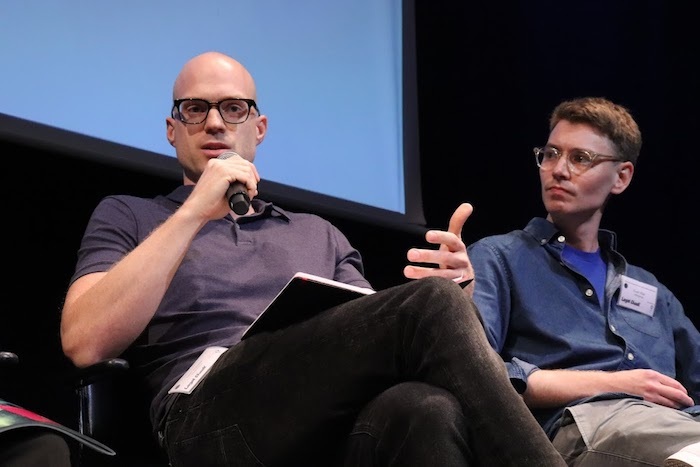 They will feature either side of a more concentrated headline SQE Q&A discussion, alongside innovation in legal education TED-style talks, an insights from other industries panel, and a separate bar training debate. The aim is to generate new ideas that will help shape the future of legal education and training as the Solicitors Regulation Authority (SRA) and Bar Standards Board (BSB) prepare to bring in the biggest changes to qualifying as a lawyer in a generation. 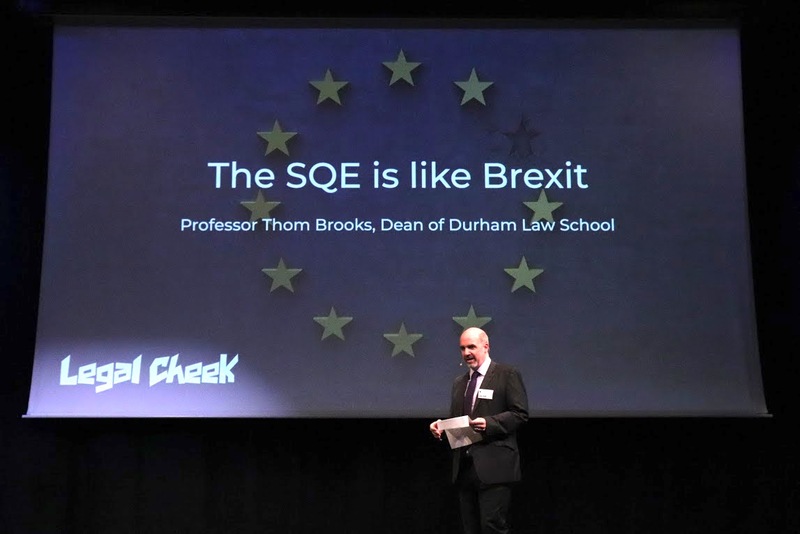 Durham Law School Thom Brooks challenges the SRA at the Future of Legal Education and Training Conference 2018. The SRA’s education and training chief, Julie Brannan (pictured in the video below), responded robustly. Sponsored jointly by BPP University Law School and The University of Law, the Conference will feature all of the big name industry figures who have been at the heart of the key recent developments in education and training in the law. At the 2018 Conference we heard from high profile legal academics from universities including UCL, Durham, Leeds and Birmingham, heads of innovation from magic circle law firms, graduate recruitment chiefs from leading law firms and banks, training bosses from the SRA and the BSB, and lawyers who went on to found their own start-ups. The first batch of speakers for 2019 will be announced in the lead up to Christmas. Graduate recruitment and learning & development teams from over 50 leading corporate law firms attended the 2018 Conference, alongside legal academics from 40 different universities across the UK. In attendance too were a host of lawtech companies working in the education sector, journalists specialising in law and education, and a collection of Legal Cheek’s student campus ambassadors. This year we are doubling the space, and broadening the topics covered, to allow more attendees from the profession and academia, plus opening up the Conference to diversity organisations and specialists in welling & resilience, for the biggest gathering of its type. Get your tickets here, available at the super early bird rate of £160 + VAT for a limited time only. 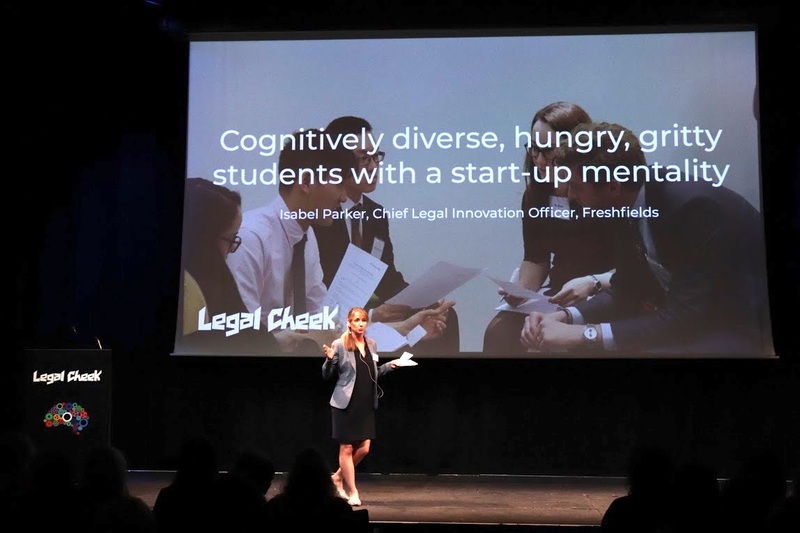 Students interesting in attending (we do not charge students for attending our events) should contact us about becoming part of Legal Cheek‘s campus ambassador programme.